Manually select the program you want to listen from the playlist to the left. If If you prefer to Listen the show individually without downloading, click the play button below. Millions of people don't doubt that the 9/11 stories communicated to us to date are not true. Did you know that there is missing rubble from the towers? Did you know that it is impossible for the towers to fall at essentially the speed of gravity? Did you know that there was a level three (3) hurricane right off of the coast of N.Y. [Erin] at the time of 911 that left right after the towers demise that was not reported to us? Did you know that all sorts of unaccountable/unexplainable issues with cars, fire engines, and others motor vehicles that had nothing to do with the towers happened? Is it possible for steel beams to vanish into powder or ?? Dr. Wood provides answers to these and many more questions. Judy D. Wood is a former professor of mechanical engineering with research interests in experimental stress analysis, structural mechanics, optical methods, deformation analysis, and the materials characterization of biomaterials and composite materials. She is a member of the Society for Experimental Mechanics (SEM), co-founded SEM’s Biological Systems and Materials Division, and currently serves on the SEM Composite Materials Technical Division. Dr. Wood received her * B.S. (Civil Engineering, 1981) (Structural Engineering), * M.S. (Engineering Mechanics (Applied Physics), 1983), and * Ph.D. (Materials Engineering Science, 1992) from the Department of Engineering Science and Mechanics at Virginia Polytechnic Institute and State University in Blacksburg, Virginia. Her dissertation involved the development of an experimental method to measure thermal stresses in bimaterial joints. She has taught courses including * Experimental Stress Analysis, * Engineering Mechanics, * Mechanics of Materials (Strength of Materials) * Strength of Materials Testing Is this what Eisenhower warned us of? Where did the building go? Figure 1. My intellectual integrity prevents me from calling this a collapse. This is why I have chosen to stand up. 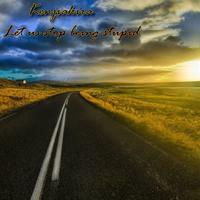 My conscience leaves me no other choice. From 1999 to 2006 Dr. Wood has been an assistant professor in the Mechanical Engineering Department at Clemson University in Clemson, South Carolina. Before moving to Clemson she spent three years as a postdoctoral research associate in the Department of Engineering Science and Mechanics at Virginia Tech. One of Dr. Wood's research interests is biomimicry, or applying the mechanical structures of biological materials to engineering design using engineering materials. Other recent research has investigated the deformation behavior of materials and structures with complex geometries and complex material properties, such as fiber-reinforced composite materials and biological materials. Dr. Wood is an expert in the use of moiré interferometry, a full-field optical method that is used in stress analysis, as well as materials characterization and other types of interference. In recent years, Dr. Wood and her students have developed optical systems with various wavelengths and waveguides. Dr. Wood has over 60 technical publications in refereed journals, conference proceedings, and edited monographs and special technical reports. 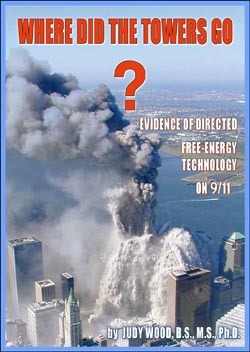 Dr. Wood started to question the events of 9/11 on that same day when what she saw and heard on television was contradictory and appeared to violate the laws of physics. 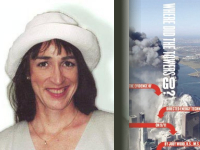 Since that day she has used her knowledge of engineering mechanics to prove that the collapse of the World Trade Center twin towers could not have happened as the American public was told. Transcripts are available for $11.00 USD (50% discount to members). If you are a member, proceed to segment two to purchase at the discounted rate.